Drawings from Supplements I, II, III, IV, V and Bath Supplement are added to the Standard E-Z DECORATOR System. 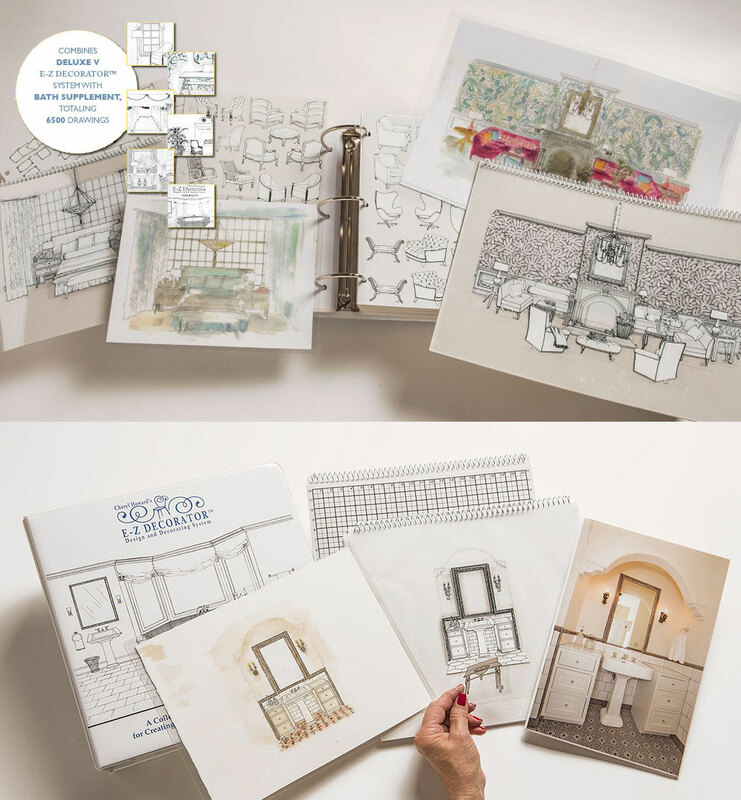 The Bath Supplement offers 900 illustrations of current bath fixtures, accessories, cabinetry, and lighting. Also included is a separate section offering a large assortment of tile patterns and designs. This package includes 3 binders with 3 standard grid/templates.